Denis Johnson will be at Square Books to sign copies of his books. Diesel, A Bookstore in Oakland welcomes The Diesel Readers back to the store to discuss Train Dreams by Denis Johnson on Monday, September 17th at 7pm. Train Dreams tells the story of Robert Grainier, a day laborer in the American West at the start of the twentieth century - an ordinary man in extraordinary times. Buffeted by the loss of his family, Grainer struggles to make sense of this strange new world. As his story unfolds, we witness both his shocking personal defeats and the radical changes that transform America in his lifetime. Denis Johnson , Tree of Smoke: A Novel. 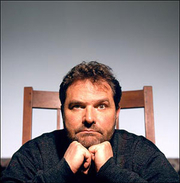 Denis Johnson is currently considered a "single author." If one or more works are by a distinct, homonymous authors, go ahead and split the author. Denis Johnson is composed of 2 names. You can examine and separate out names.